The company from Cupertino is currently in search of iTunes Canada Music Programmer. 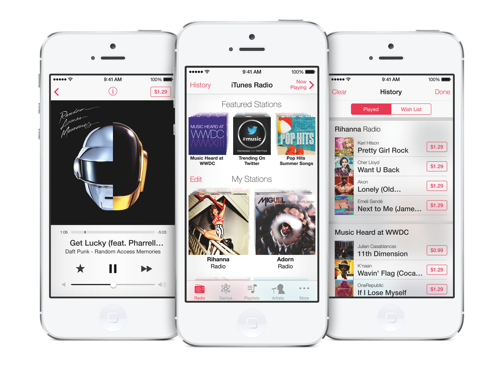 What that means is that Apple’s planning to launch iTunes Radio in Canada soon. So far, the streaming music service has been available only for American users, but looks like everything’s about to change. The Canadian Music Programmer will be responsible for the programming of iTunes Radio and the iTunes Music store in Canada. This particular role will report directly to the Head of Music for the Canadian iTunes store, and will be responsible for working cross-functionally across a variety of teams including Editorial, Label Relations, Marketing, Sales, Production & Engineering, and more. The Canadian Music Programmer will be an editorial voice of iTunes Radio, and will be responsible for keeping the product current. This person must have a passion for and deep knowledge of music across numerous genres and decades, and must demonstrate the ability to objectively program content relevant to iTunes customers. If you live in Canada and if you have the appropriate skills, you may try to apply for this job.